Beetroot shoot smoothie! – Eat, Click, Travel and Repeat! Okay! Super-duper caution! This smoothie has some fibrous content in it. I suppose more than half of the world is going to hate it.Because, once it is ready after every sip.. you will feel some fibers in your mouth. I am not sure if it is good or bad. I want to think its good but extremely irritating. 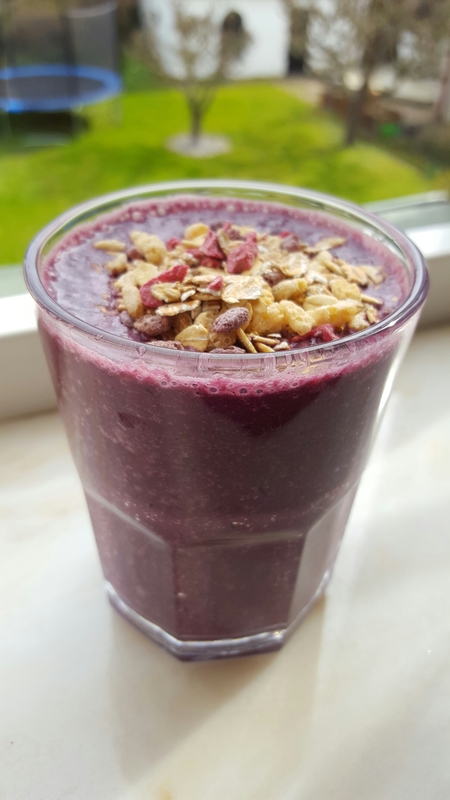 I have blended half a banana, 250 ml almond milk, handful of blue berries, 1 inch peeled zucchini, handful sunflower seeds and 5-6 beetroot shoots. Blend then well and hard. Stay healthy and feel good!